Apple may accidentally show future iPod in the new iTunes 12.2. 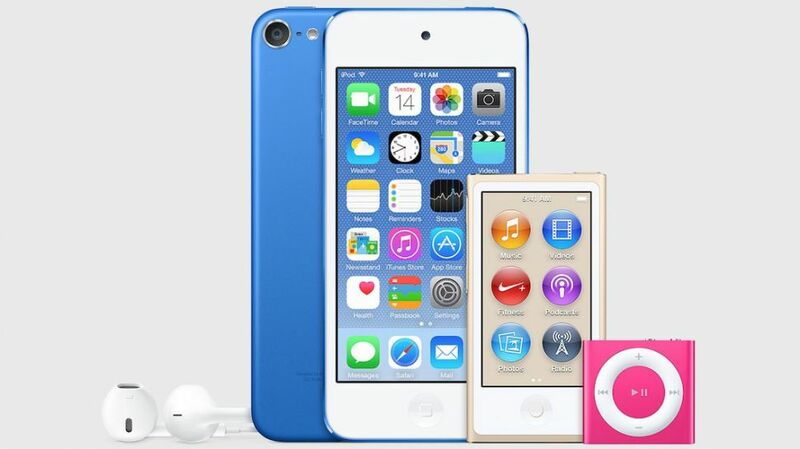 The image shows some new colors including iPod nano in gold color, iPod Touch with darker blue color and bright pink iPod Shuffle. The new iPod family is believe will be launched in September 2015 along with iPhone 6s/ 6c or maybe it will be launch in Tuesday July 14 as can be seen in the iPod Touch calendar. The current iPod. With Apple Music coming in, it seems the new generation iPod will remain available in the market with new future capabilities and look younger with a set of new colors.